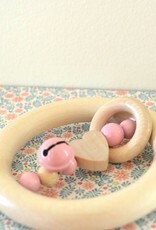 Orange & Coco wood teether is the perfect gift for baby shower, baptism and birth! A colorful and natural toy to keep baby amused! 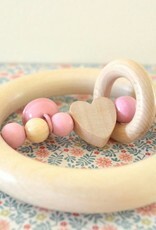 The small bell awakens the senses of your little one and holding onto the rattle will sharpen their dexterity. It can be also used to sooth baby's gums when teething. 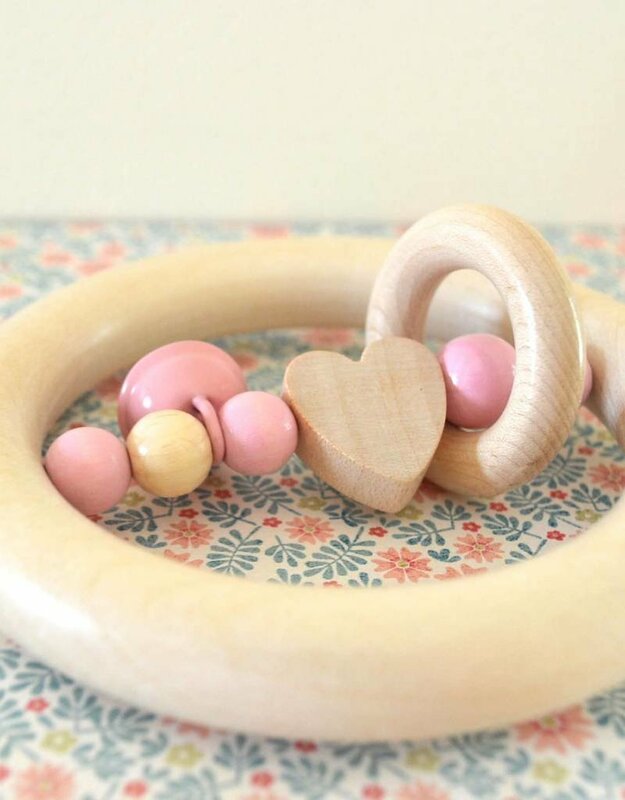 To create the wooden rattles, I use wooden beads of the highest quality from Europe, which are colored with non-toxic and lead-free paint designed especially for your little ones. The rattle is attached with an ultra-durable polyester cord. Our rattles meet the Canadian safety standards for children's products. 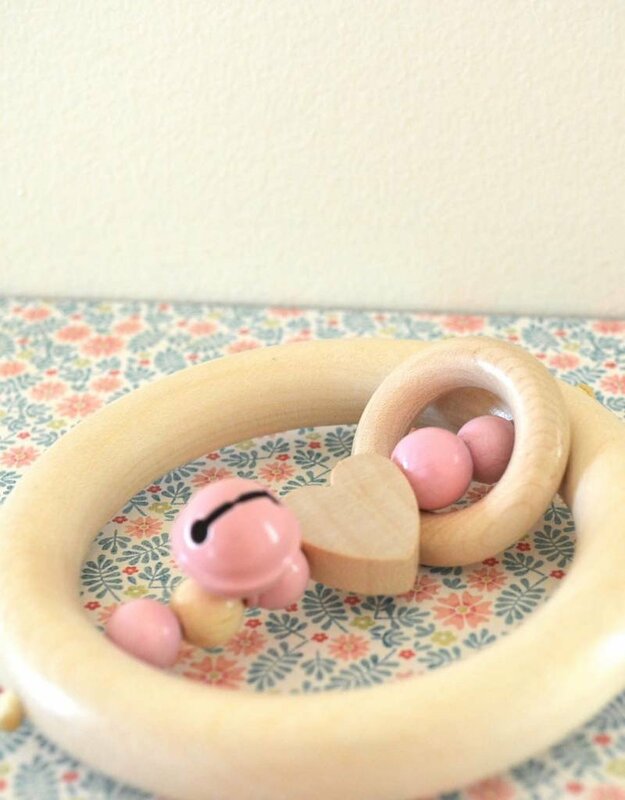 Our rattles are proudly made in Canada by hand, with love and in a smoke-free environment. Please don't hesitate to contact me for any special requests! WARNING! Before each use check carefully your teether before use it. 5- If the teether is exposed to excessive moisture such as saliva and water, it is possible that the color fades with time. This effect of uses is not a risk for the health of your child. The paint used is lead free and non-toxic. 6- Never leave your children unsupervised when he is using the teether.